Frans Beltran, MD, joins Irving clinic and rounds out clinic’s specialties with OB/GYN services. The Medical and Surgical Clinic of Irving has served the Irving, TX area for decades now, and the team of medical professionals constantly strives to deliver a wide range of services to meet the needs of the community. 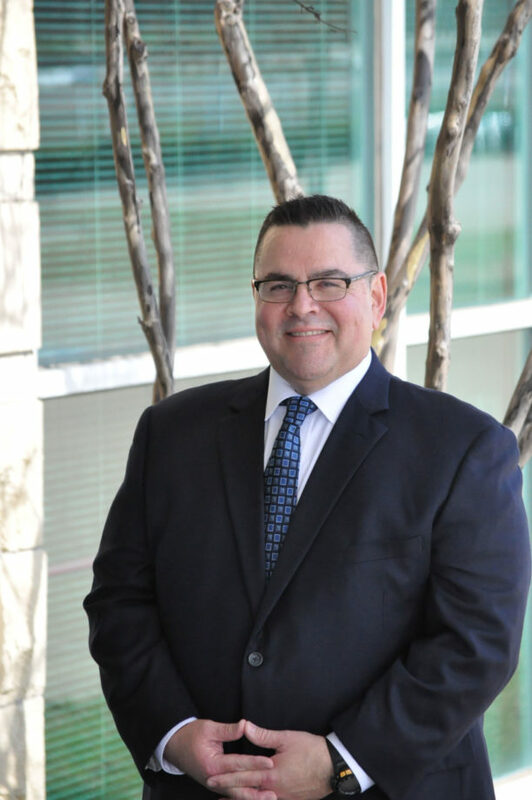 As part of this commitment to the community’s health, the Irving clinic is pleased to announce the addition of Dr. Frans Beltran to the team of medical providers. Dr. Beltran will serve as the clinic’s obstetrician and gynecologist (OB/GYN). Dr. Beltran is currently scheduling patients and will begin seeing patients on September 5, 2017. To schedule an appointment with Irving’s newest OB/GYN, patients can call her directly at (972) 253-2530. Her office is located at 2021 N. MacArthur Blvd. Suite 300, Irving, TX 75061. 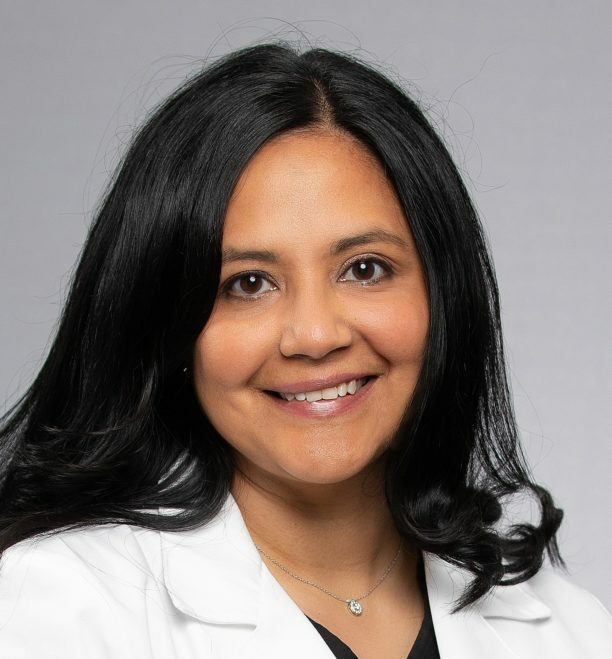 Dr. Beltran received her undergraduate degree from Columbia University and then received her doctor of medicine from Drexel University in Philadelphia, Pennsylvania. She received her OB/GYN training from Pennsylvania State University at the Hershey Medical Center. While attending university, she was named on the Dean’s Honor List for all four years and was a Howard Hughes Fellow. She also received a special grant for her research while she trained to be an obstetrician and gynecologist. While Irving might be quite a distance from Hershey, Pennsylvania, Dr. Beltran is excited to be a part of the North Texas community. As MSCI’s OB/GYN, Dr. Beltran will help women of all ages enjoy better health. To help better connect with patients, Dr. Beltran is fluent in Spanish. “We are excited to offer the residents of Irving and the surrounding area an excellent choice for their OB/GYN needs,” said Roy Rochon, president of the Medical and Surgical Clinic of Irving. 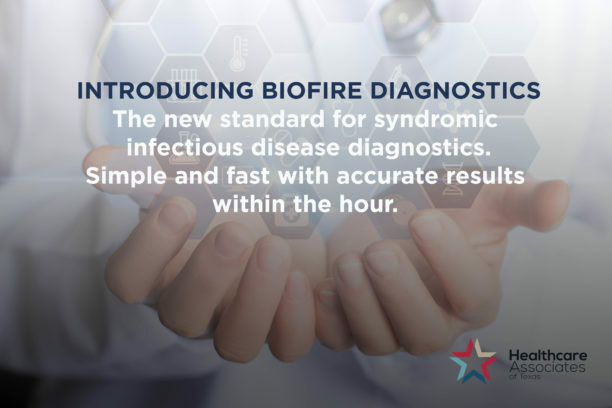 Healthcare Associates adopts BioFire’s Film Array System to quickly diagnosis and treat disease states among patients. Healthcare Associates of Texas has recently implemented an updated, molecular laboratory instrument to diagnose certain dangerous diseases faster. The FilmArray system, is able to detect multiple organisms that cause infections such as gastrointestinal disease, respiratory disease, bloodstream infections, and sepsis in a single test. HCAT now has the ability to get results in about an hour to diagnose and treat disease states as quickly as possible. Current testing methods in most hospitals could take days to get results. Healthcare Associates of Texas is the first outpatient primary care clinic in the southern United States to have this technology which was previously available in only a few advanced hospitals. Healthcare Associates of Texas will be using the FilmArray System to rapidly detect the DNA of pathogens of life-threatening disease states that continue to plague the U.S. healthcare system. One FilmArray test available is the GI panel that identifies 22 disease targets for bacterial, viral and parasitic gastroenteritis infections contracted through eating, swimming or other exposure routes. Another is the RP panel that identifies 20 viral and bacterial respiratory pathogens including Pertussis. Testing for disease state pathogens allows for early treatment, as well as proactively protects its spread among patients and in the community. Healthcare Associates of Texas announced today that N. Christopher Lawrence, MD and Angela Jorrey, PA-C are joining the practice March 1, 2017 at their new location at 8080 State Highway 121, Suite 210, McKinney, Texas 75070. Christopher Lawrence, MD has been in family practice in McKinney for the past 18 years. 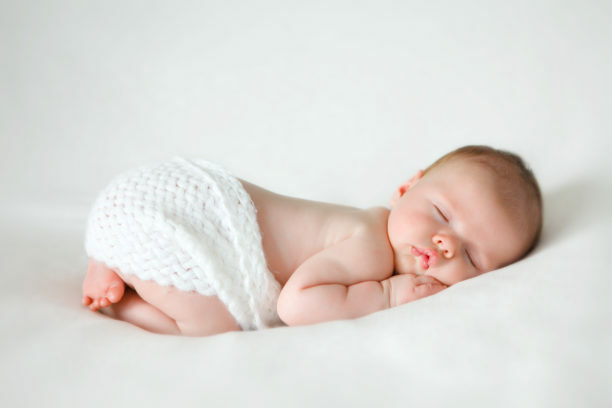 He practices traditional family medicine, caring for babies to elderly patients. His practice style includes an emphasis on wellness and disease prevention through hormone management and supplementation. He received his Doctor of Medicine from University of Texas Health Science Center at San Antonio and then completed a Family Practice Residency at Cedar Rapids Medical Education Foundation in Cedar Rapids, Iowa. Dr. Lawrence is a Diplomat of the American Board of Family Medicine. He has won numerous awards including Living Magazine’s Best Family Practice Doctor/Group and Best Bio-Identical Hormone Replacement Center and D Magazine’s Best Doctors in Collin County. Dr. Lawrence has been married to his high school sweetheart for nearly 27 years. They have a 22-year-old daughter finishing her senior year at Texas Tech and a 20-year-old son attending Collin College. Both attended McKinney ISD schools from kindergarten through graduation. Dr. Lawrence has also been involved in many community, cultural, and volunteer experiences in McKinney. He is dedicated to his faith and family and hopes to bring this commitment to his new life experience of joining Healthcare Associates of Texas. Angela M. Jorrey, MPAS, PAC graduated from the Texas Tech University Health Sciences Center Physician Assistant Program in Midland, Texas in 2005. Following graduation, Angela worked in the allergy and asthma field for two years and has spent the last nine years in family medicine. Angela enjoys all aspects of family practice, but especially preventive care. She has special interests in the field of diabetes and women’s healthcare. Angela has been working with Dr. Lawrence to specialize in wellness and disease prevention through hormone management and supplementation. 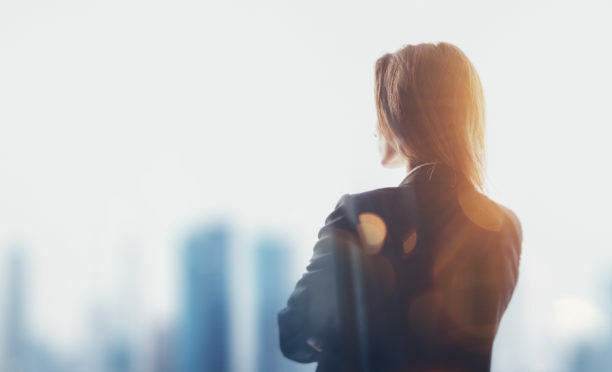 She is certified by the National Commission on Certification of Physician Assistants, a member of the American Academy of Physician Assistants, and the Texas Academy of Physician Assistants. Angela has been married to her husband for six years and has two sons ages two and five. They live in McKinney and enjoy bike rides, time outdoors, and family vacations. She is strongly involved in her church community at St. Gabriel’s. Angela looks forward to serving the patients of Healthcare Associates of Texas and helping them with all their healthcare needs. Healthcare Associates of Texas welcomes Dr. Lawrence and Angela, along with their patients. Healthcare Associates of Texas LLC was founded in 1991 and is headquartered in Irving, Texas. The company currently has three North Texas locations. In addition to offering primary care and family medicine services, the company provides patients with a number of ancillary services, including imaging, diagnostics, physical medicine and an in-house pharmacy. They have become one of the most technologically advanced family medicine practices in North Texas. Their board-certified physicians, complemented by certified physician assistants and nurse practitioners, are dedicated to providing families with quality medical care in an environment that promotes trust and comfort. Healthcare Associates of Texas announced the addition of Dr. David W. Candelario to their McKinney team. In practice since 2014, he brings extensive experience and will be practicing alongside Dr. Edwin Taylor, Dr. Wallace Sarver, and Dr. N. Christopher Lawrence. “Dr. David Candelario joins us after having worked at our Irving location for the past year. He is a McKinney, Texas native who has his roots in the community and is eager to start providing care to our local residents,” said colleague Edwin Taylor, MD. David W. Candelario, DO earned a Bachelor of Science in Electronics Engineering Technology at DeVry Institute of Technology in Irving, Texas. Dr. Candelario then worked for 17 years as a software engineer at various local telecommunications firms including DSC Communications, Nortel Networks and INET Technologies. During the 2002 downturn in the technology industry, he left telecommunications and entered the University of North Texas Health Science Center in Fort Worth where he earned a Doctor of Osteopathic Medicine degree. Dr. Candelario completed his Family Medicine residency at UT Southwestern Medical Center in Dallas. He is board certified in Family Medicine by the American Board of Family Medicine and is a member of the Texas Medical Association. “McKinney has been my home since 1988 – my wife and I have raised our children here and it is a unique and special place. I’m really looking forward to serving the community and helping people enjoy healthy and longer lives,” says David Candelario, DO. Dr. Candelario provides outpatient primary care to all age groups, including pediatrics for children ages 5 and up through geriatrics. His patient care consists of diagnosis and treatment of both acute and chronic complaints, along with preventive health measures for all ages. Dr. Candelario is offering same day sick appointments, when available. Healthcare Associates of Texas offers care for the whole family – well visits, sick visits, school physicals, vaccinations, and even on-site x-ray and lab services. 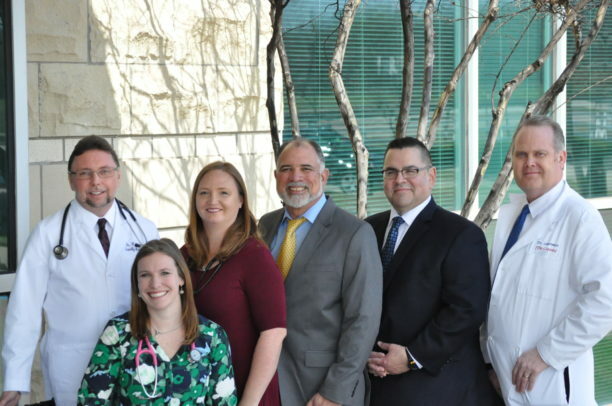 They manage a broad range of needs in the McKinney office ranging from treating a sore throat or acne to managing diabetes to performing skin biopsies. They also focus on preventive care such as pap smears, immunizations, stress management, exercise, and educating you about your health. They care for the whole family from newborns to senior citizens. Healthcare Associates of Texas accepts all major insurance plans, including Aetna, Blue Cross Blue Shield, Baylor Scott & White Quality Alliance, Cigna, Humana, Medicare, Secure Horizons, and United Healthcare. About Healthcare Associates of Texas Healthcare Associates of Texas, LLC was founded in 1991 and is headquartered in Irving, Texas. The company currently has three North Texas locations. In addition to offering primary care and family medicine services, the company provides patients with a number of ancillary services, including imaging, diagnostics, physical medicine and an in-house pharmacy. They have become one of the most technologically advanced family medicine practices in North Texas. Their board-certified physicians, complemented by certified physician assistants and nurse practitioners, are dedicated to providing families with quality medical care in an environment that promotes trust and comfort. Healthcare Associates of Texas is pleased to announce that Boardwalk Physical Medicine will be putting a larger focus on vestibular rehabilitation training to improve quality of life for patients suffering from vertigo, dizziness, visual disturbance, and imbalance from vestibular disorders. Vestibular disorders cause a range of frustrating inter-related symptoms including dizziness, imbalance, vertigo, nausea, and migraines. These can result in serious injury including falls and reduce quality of life. Stability and gait training, also known as vestibular rehabilitation training, can offer relief from these daunting symptoms by using specialized exercises that stimulate and re-train the vestibular system. These exercises usually involve head movement, stretching, walking exercises, and ergonomic training that all help the body re-learn proper symmetry, appropriate reflexes, and improved control. This results in improved balance, reduced risk of falls, reduced dizziness, improved stability, better posture, increased body strength, and improved coordination. “Boardwalk Physical Medicine has been an amazing part of Healthcare Associates of Texas’ delivery of full service primary care. With the combination of chiropractic and physical therapy, we can treat a wide scope of musculoskeletal complaints and other issues in ways few clinics can,” says Charles L Powell, MD, Director of Clinical Services for Healthcare Associates of Texas. Boardwalk Physical Medicine is staffed by an exceptional team of physical therapists, exercise physiologists, and physical therapy assistants led by Jeremy Liesveld, DC, FNP who is both a Chiropractor and a Nurse Practitioner. They customize a unique vestibular rehabilitation training program for each patient to address their specific needs. Healthcare Associates of Texas has been caring for families throughout the greater Dallas/Fort Worth area for more than a quarter of a century and their patients have become their family. Boardwalk Physical Medicine is an extension of this family offering physical therapy and chiropractic care for patients with a variety of services including therapeutic exercise, manual therapy, ultrasound, decompression, kinesiotaping, and neuromuscular re-education. With full on-site diagnostic and laboratory capabilities, a pharmacy, and Boardwalk Physical Medicine, Healthcare Associates of Texas provides high quality care in a convenient and cost-effective manner. 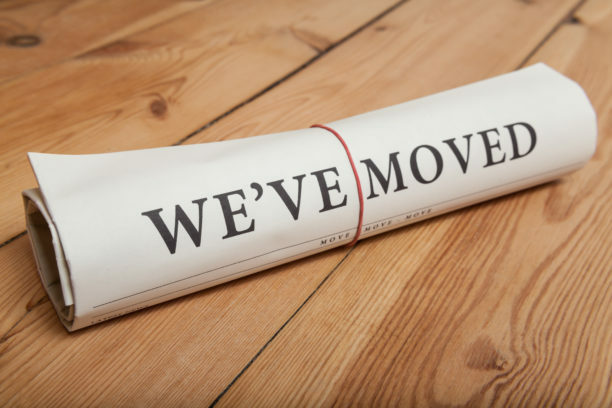 Healthcare Associates of McKinney Has Moved! Same family-centered care in a new location. Healthcare Associates of McKinney announced today that they have moved one block south to The Medical Center at Craig Ranch building at 8080 State Highway 121, Suite 210, McKinney, Texas 75070. It is in the heart of the Craig Ranch Medical District with easy access to Highway 121. As the practice has grown, the need for more space has been paramount. This beautiful new location offers more space to care for patients in the same family-centered manner with several additional ancillary services. With a bigger office, Healthcare Associates of McKinney will be able to add two additional providers, Christopher Lawrence, MD and Angela Jorrey, PA.
Conveniently located on the border of Frisco and McKinney, near Craig Ranch, the office is open from 7:30am to 5:30pm. 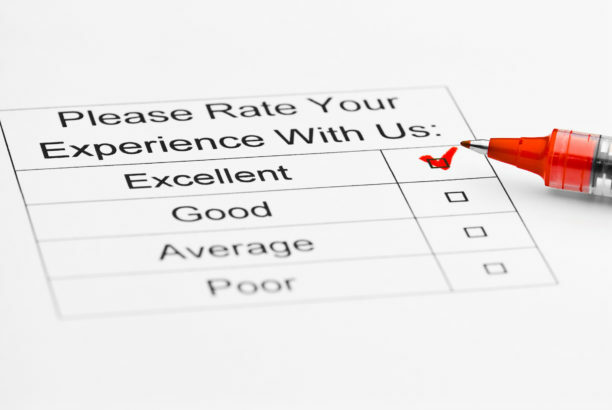 Healthcare Associates of McKinney offers same-day appointments, when available, and accepts all major insurance plans. Onsite services include preventative health measures and a broad range of medical needs such as allergy shots/testing, diagnostic imaging, laboratory, nerve conduction, outpatient minor surgeries for dermatologic conditions and joint injections for select orthopedic complaints. For an appointment or more information about Healthcare Associates of McKinney, please call the office today at (972) 268-9383 or visit www.HealthcareAssociates.com/McKinney.